Now 20% off - hurry, limited time offer! Finding mirrors to complete your truck restoration or custom build project. We make it easy for you to finish off your pickup truck with K Source universal truck mirrors. K Source offers wide variety of different sizes & styles of side view mirrors to give you the look you're after. The have chrome mirrors, stainless steel mirrors, and they even have black mirrors! 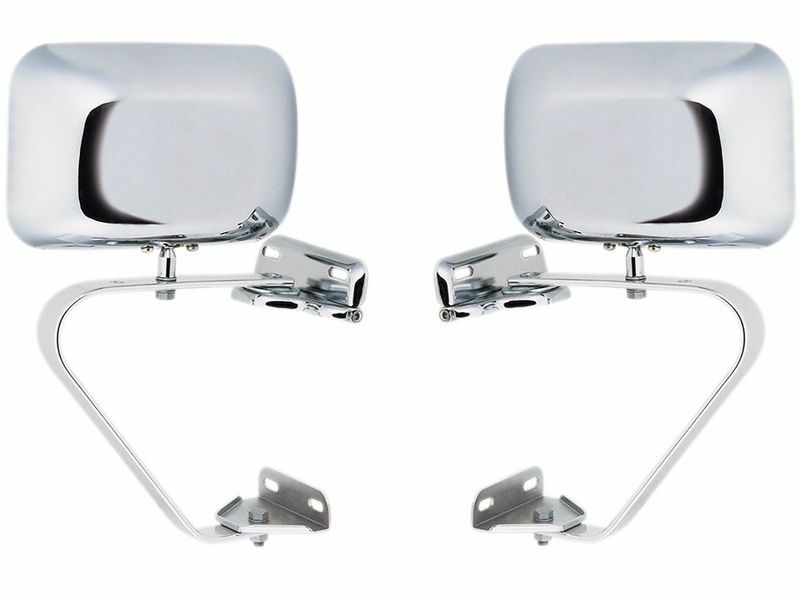 All of these universal truck mirrors can be used on either the passenger or driver side of your truck. K Source has been making side view mirrors for over 50 years and they even make OEM mirrors, so you can rest assured that when you buy K Source, you're buying quality. All of the truck mirrors from K Source are very easy to get added, no matter what style you choose. It's time to get your truck back out on the road, finish off your look and make motoring safer with K Source universal truck mirrors! K Source has kept the installation as simple & easy as possible. There are easy to follow instructions included. Give us a call if you think of anything that we can help you with, we're here 7 days a week to help you out.